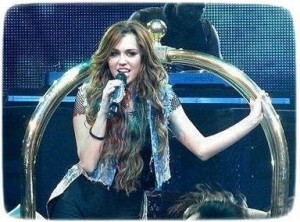 Miley Cyrus Reunited With Liam Hemsworth? Miley Cyrus spent a day with former beau Liam Hemsworth in Studio City, CA on September 11. Read moreMiley Cyrus Reunited With Liam Hemsworth? Miley Cyrus posed with L.O.L. co-stars in a group picture at Trocadero Fountain in Paris on September 6. Miley Cyrus was spotted roaming around Paris, France with friends on September 4. 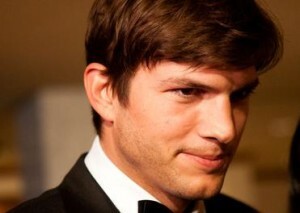 Ashton Kutcher used Twitter to slam the Star Magazine over allegations that he cheated on wife Demi Moore. Claudia Schiffer, who is due to give birth to her third child later this month, graces the cover of the Vogue magazine. 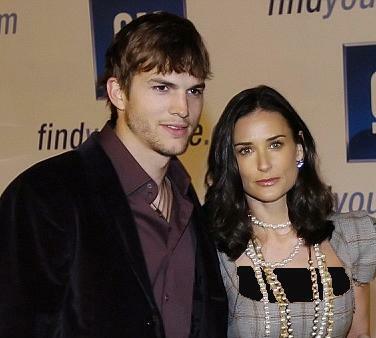 Ashton Kutcher gave wife Demi Moore the scare of her life when he emerged from the ocean complaining of a headache with blood dripping from his ear. Celebrity fans can now own their favorite star’s personal handbag – all in the name of charity. Italian designer Salvatore Ferragamo has joined forces with such stars as Madonna, Demi Moore, Jennifer Aniston, Gwyneth Paltrow, Dita Von Teese and Eva Longoria for a special auction. Charlize Theron, who was one of the Hollywood great beauties, decided to try unusual beauty regimen by splashing out on expensive “super berry” moisturizer. 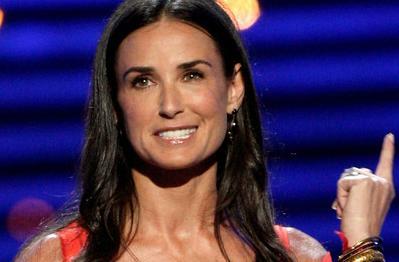 There’s more to A-list superstar Demi Moore and her toyboy husband, 30-year-old actor Ashton Kutcher, than meets the eye. 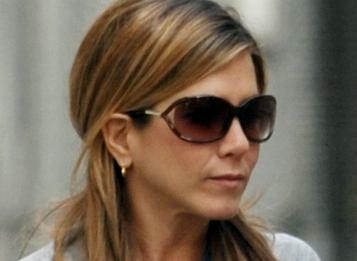 Jennifer Aniston And Demi Moore: Hollywood’s Hottest Cougars? 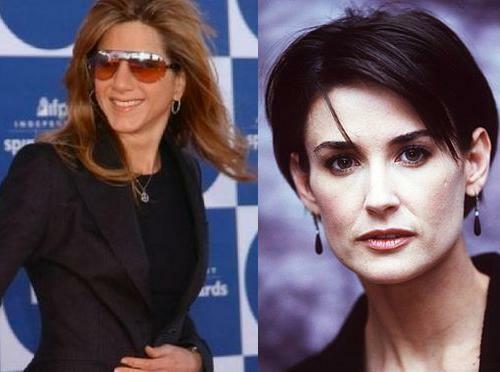 Jennifer Aniston and Demi Moore have a lot of things in common: blooming romance and celebrities who were included in Hollywood’s hottest cougars. Read moreJennifer Aniston And Demi Moore: Hollywood’s Hottest Cougars?